Denise Challenger‘s exhibit, “Playin’ Mas, Play and Mas: A pedagogical journey of children and Caribana, 1970-1974” based on a collection from the Harriet Tubman Institute, is one of the four exhibits developed in our project. In this chapter, Denise shares some of her learning that will inform how she will teaches Digital Humanities/Digital History (DH) in the future. When I first encountered the virtual reality game Second Life, it was as a platform to teach Art History. From that point onwards, I was sold on the infinite potential of computing and teaching. Throughout my career as a graduate student, whenever possible I attended various Digital Humanities (DH) Institutes, organized a Digital Oral History conference, and facilitated youth camps to forge deeper connections between Black high school students and digital practitioners in a culturally meaningful way. While completing my PhD in History, I also worked as the coordinator of the Harriet Tubman Institute for Research on Africa and Its Diasporas where I developed a reputation as “the DHer.” I wasn’t ashamed of my DH title; I wore it proudly. Anytime I could arrange for a speaker, a workshop, a training session on digital humanities, I did so. I believed then and still do now that Tubman is an ideal research centre to take the lead on fostering digital projects as they relate to the experiences of people from Africa and its Diasporas. Therefore, when the director of Tubman approached me to take part in this DHSS project, I jumped at the chance. 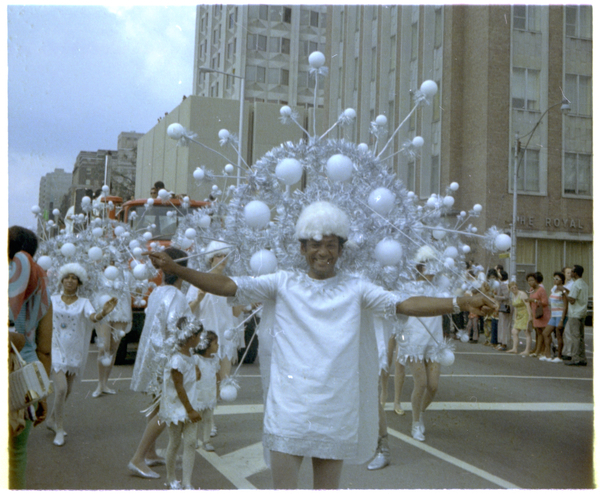 I knew Tubman had recently received over 20 boxes of materials related to the Caribana festival – photos, promotional materials, diagrams, film reels, newspaper clippings, and ephemera – from Kenn Shah’s estate. Kenn Shah was one of the founding members of Caribana, and a mas’ leader who passed away unexpectedly in 2002. I thought if nothing else, the AIF project would have given Tubman an opportunity to get some scanning done. While I overestimated how much scanning could be done in four months, I underestimated how much intellectual growth I could experience over the same time period. My task seemed quite straight forward at first. Three other graduate students and I were each expected to create a digital archive, an exhibit, and smaller document analysis pieces that undergraduates could replicate in their course work. The digital projects were based on primary source material from our respective research units. What seemed simple, I was soon to learn, became more complicated as we began to unpack terms such as “archive,” “record,” “metadata,” “identity,” “community,” and “power” through stimulating readings and intellectual debates. Thus, throughout this interdisciplinary pedagogical exercise we had the opportunity to merge theory with practice. For this reason alone, incorporating digital projects into a course is worthwhile. Now that I have completed the project as a “student,” I would like to reflect on how I would incorporate my learning into the design of a non-DH history course. Three main factors stand out for me that need to be considered by a course director: First, collaboration must be built into the curriculum from the onset; Second, tutorials need to provide time to work with the tools and to incorporate theoretical debates from various disciplines, along with covering course content; Third, for public projects, issues of ethics, copyright, sustainability, ownership, and responsibility to community need to be built into the course content and structure. With these ideas in mind, I hope not only to provide insight into my experiences but also to supply “metadata for thought” for instructors considering on embarking on a digital pedagogical journey. Let me state up front, however, in as much as I am intrigued by DH, I am not a coder nor computing expert. I don’t think having these skills are necessary. I believe it is more important to know why you want to use a particular tool rather than how to build it. Hence, collaboration is essential to any digital initiative. One of the advantages of doing DH at York is that it is a well-funded research university. The main library has a digital scholarship unit; take full advantage of it while planning your course. The digital archivists, Scalar experts, and undergraduate students were essential in helping me adhere to best practices as they related to selecting material to be digitized, scanning the documents, creating metadata, and using Scalar, the digital platform that houses my work. A constant anxiety I faced when doing this project was related to time. There was an overwhelming amount of material to choose from: Kenn Shah leftover 23 boxes of material; one box had over 1,000 photos and negatives. 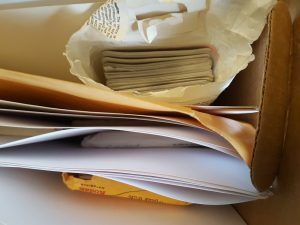 When I connected with the archivist on our team, however, she reviewed the boxes with me and provided me with suggestions both on how to organize the file and examine the material quickly while building an inventory. Through our discussions, we decided that it was best to use dates rather than a theme as a guide for photo selection. Even after the photo negatives were selected, however, it took a few weeks before I felt comfortable enough to scan them quickly and upload them onto York’s digital library database (YUDL). To my surprise, approximately 50% of my time was spent on photo selection, scanning, and uploading. I eventually required the assistance of two workstudy students to assist me in meeting the project deadline. Scalar was the final area that technical or practical collaboration was needed. Although, I had some familiarity with Scalar for research purposes, I had not used it to build an exhibit. Building an exhibit required me to have a different level of understanding of the paths and tags that allow users to navigate the platform than I previously needed. Again, while competent in the program, and even after having completed the Scalar webinars, it was extremely helpful speaking with the library assistant who had expertise in it. Admittedly, due to unforeseen set backs, we started our Scalar training later in the schedule than we anticipated. Had we begun early, then I may have had more time to familiarize myself with all of its fantastic features. Students may experience setbacks and face similar anxieties related to time. Hence, encouraging them to work in teams and to make use of all available resources may mitigate stress factors. In essence, the hands-on aspect of the project taught me that if I were to implement a similar project into a Caribbean history course, I would have to build the course as collaborative and interdisciplinary from the outset. While the lectures could cover the historical material, contact hours outside of lecture would have to be equally divided between readings and discussion on archival theory, as well as practicums on digital scanning and Scalar training. The earlier in the course that students engage with the technology, both individually and as a group, the more dynamic their final exhibits. I described all of the people who assisted me to stress the inherently collaborative nature of DH. As an instructor, you should not be expected to know everything. It would be fruitful to invite guest lecturers and experts from the York Libraries or elsewhere to assist in facilitating the course. More importantly, encouraging students to work with one another in a non-competitive format is essential to digital projects. Demonstrating team teaching is one way of encouraging student collaboration. In many ways, however, the steepest learning curve for me throughout this project was connected to archival theory rather than digital practice. I often thought about the archive as a physical space where I would go to extract a diamond that was a “perfect primary source.” As a historian of the Caribbean, I viewed “archival power” in terms of matters that vexed my research process which ranged from the housing of so many Caribbean documents in European archives, the conditions of the records in Caribbean archives, to the bureaucratic permissions needed to view and even photograph documents, to name a few. Ever pervasive is the silencing power of the archive itself. Its inability to capture the voices of the masses, the illiterate, those considered less important meant many of my historical subjects were difficult to trace. To me, the archivist was the gatekeeper of all knowledge and determined what would be collected as well as if and how users could access it. Not until I embarked on creating a digital archive, however, did I realize the full complexity of archival power. In this project, I shifted disciplinary gears and became an archivist. In some ways archivists experience issues related to power and positionality somewhat differently to historians. Historians read documents for the bias within them, whereas archivists assign status or power to documents through the labeling process. The power of the archive rests not only in what is collected, but how information is labelled and organized which is a highly subjective process. In fact as K.J. Rawson (2017) contends, “metadata creation is a highly political act” (p. 17). One of the biggest challenges for me was the labeling process. Take for example the image below entitled, “A man in a female costume.” I am still not certain that is the best title and I might change it again. Although, I thought about referring to the ethnicity of the masquerader in the title, I did not. Caribbean societies are racially hybrid spaces, so it was difficult for me to label him as Black or Indian. Perhaps he was a descendant of Afro and Indo Caribbean parents? More importantly, even if I did decide on one racial term or the other, I ran the risk as Rawson (2017) notes, of marking difference and normalizing whiteness, if I didn’t use racial markers for all the photos (p. 18). Beyond these reasons, how certain could I be of how he identified himself at that time? Yet, as many scholars have noted, the problem with not labeling the race or ethnicity of subjects is that these racialized people become increasingly difficult to find within the database. In the popular culture, Caribana is primarily affiliated with “Black bodies,” failing to identify Indo Caribbean participants, further obfuscates their role in Caribana. How would users interested in Indian participation in Caribana locate this photo? This question is of particular importance since the donor was Indo-Caribbean. Additionally, I was particularly struck by the costume in the picture. This photo suggests a shifting notion of masculinity from the 1970s to 2000s. The title reflects my own positionality in that men from my generation would not wear a skirt or dress as part of a Caribana costume for fear of ridicule. But, what has also given me pause about the photo title is the reaction of a mas’ maker when I showed her the exhibit. She pointed out the hem of his skirt differed from the woman’s in the photo, hence he may not have been wearing a “female” costume after all. How do I then indicate that men and women wore very similar costumes in a way that present-day masqueraders do not? Based on my experience labeling a photo, in terms of a course, switch the order that I did the labeling versus the primary source analysis. For instance, I labelled the documents before I did the primary source analysis. I would structure the assignment in such a way that students did a traditional primary source analysis first and one of the tasks would be to label the photo. Given that labeling is so closely tied to effective searches within the digital archive, a good amount of time should be spent doing it. Labels should also be discussed in a group setting to minimize bias and a consistent labeling technique applied. At the end of the labeling phase, students will have had ample time to become familiar with their primary source photos and be more prepared as they enter the exhibit stage of the project. If grappling with issues of metadata was the most intellectually rigorous aspect of the project, engaging with community members and showcasing Caribbean culture was the most emotionally satisfying. Perhaps the most unexpected outcomes from working on this project was the deep sense of satisfaction I derived when I realized the members of the Caribana community valued the work. When I mentioned to a mas’ designer who knew Kenn Shah that York University was supporting this initiative, she smiled broadly and asked excitedly, “Will it be open to the public or just students?” At that point, we got into further discussion about Kenn Shah and Caribana in the 1970s. It was at this moment that I felt an incredible obligation to “get it right” whatever that meant. I felt a responsibility to portray the culture accurately, as it meant so much to this woman, as well as others I am certain, that Caribana was being recognized by an institution of higher learning. My experiences with technology, theory, and community engagement speak to the very collaborative and interdisciplinary nature of DH projects that make them so fascinating. Including a DH project in your course will challenge students to think beyond the established boundaries. Working in the realm of DH not only engenders engaging exchanges but also holds creators to task regarding issues of power and responsibility in ways that working in one discipline could not. DH is not a saviour of the humanities, but it certainly allows us to ask new questions of the human experience and to shape it in untold ways. “Metadata for thought”: Reflections on creating digital projects for a non-DH history course by Denise Challenger is licensed under a Creative Commons Attribution-NonCommercial-NoDerivatives 4.0 International License, except where otherwise noted.